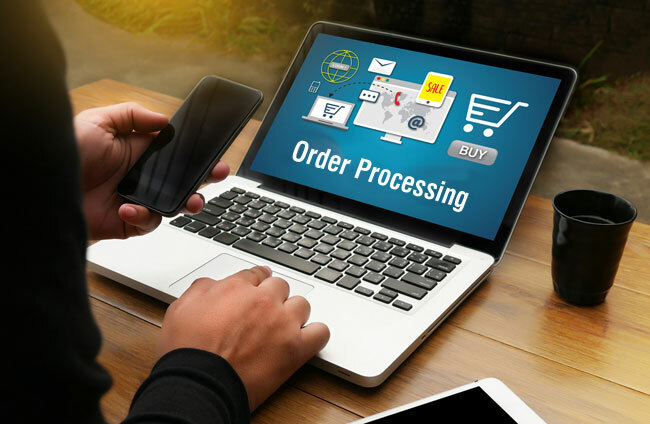 Order processing is undoubtedly a vital operation in any business, irrespective of its nature and capacity. As a company grows in business, it receives more and more orders from its clients, which is undoubtedly a positive indication. Well, do you have the sophisticated infrastructure needed to process the orders? This can have an agonizingly negative impact on the interest of the company. In these cases, you can outsource order processing services to Sasta. We are one of the most competitive outsourcing data entry service provider and can tackle the orders on behalf of our clients with precision and care. Order processing has made its importance felt with the inception of digital marketing. E-commerce portals and other websites that facilitate online shopping need able personnel to process the orders of the customers. You can completely rely on Sasta, as we have been dealing with clients from all over the globe over years together. We have a good understanding of what exactly our clients ask for. Our data entry experts deal with complex situations with dexterity, easing up the sales process of your company. Just imagine the situation when your customers want to buy something online, and there is no support staff to process the order. We can help you to get rid of all these hassles at an affordable cost. When you outsource order processing services to Sasta, our professionals take charge of the entire functioning of the sector. It is really a complex situation to take care of your customers, especially if it is an e-commerce website. Efficient management of the orders leads to an increment in sales. Order processing also includes online customer support help. With our expertise, we can deal with the clients of any business firms with expertise. We ensure that you have reduced costs in your business. You need not employ an in-house team of professionals when Sasta has all its resources dedicated for you. You can cut down this cost and invest it elsewhere. The best benefit that you get is the technological support. You will get a world-class infrastructure at your disposal when you count on us. We also have the able manpower to deal with your clients. Considering the benefits of outsourcing order processing services to Sasta, we are one of the leading data entry service providers in the industry. Our professionals are uncompromising and dedicated to the needs of our clients. Here are certain reasons why we stand apart from the rest of the crowd. Expertise: Our experts are among the best in the industry and assure you refine grades of services. We work with full commitment, ensuring the best values of money to our clients. Costs: Considering the financial feasibility of our clients, we keep the payment rates low. You will never feel the pinch in your pocket when you count on us. Customer Support Desk: We love working in close association with our clients. Our dedicated team of professionals at the customer support desk is there to assist you 24*7. You can keep track of the services and recommend specific guidelines whenever you want to get them customized. Fast Services: Our professional team is adept in handling the orders and processing them. They speed up the entire working process and ensure a seamless functioning of the system. All these benefits ensure that you will have a fine experience when you avail order processing services from the experts at Sasta. You can call us anytime to place your orders and inquire about the available resources. We warrant the best grades of services to our clients at the cheapest cost.